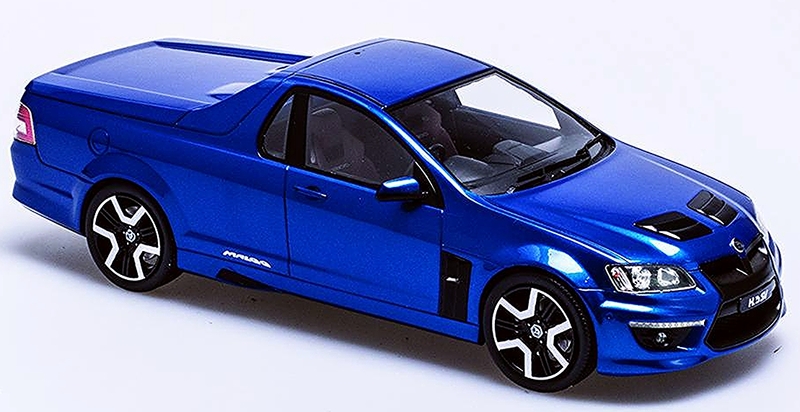 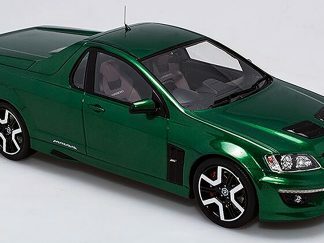 In 2010 HSV announced a special limited edition version of their performance Maloo R8 to mark the 20th Anniversary of the nameplate after its debut at the 1990 Sydney Motorshow. 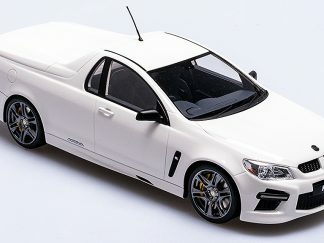 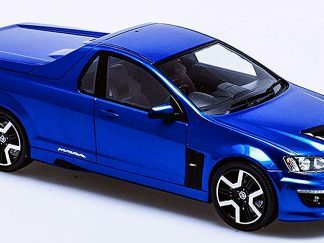 The limited edition ’20 Years of Maloo R8’ was announced with special features including the unique 20 inch Black and Chrome wheels (which were also seen on the GTS), ‘Vector E-vents’ and hood scoops along with a raft of other technological upgrades. With only 100 editions planned for the market, this limited edition performance ute available in a range of remarkable colour options was a fitting way to celebrate the 20th Anniversary milestone for HSV. 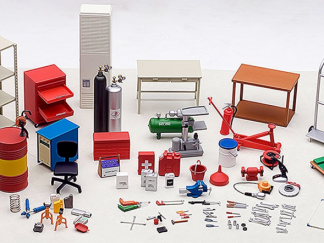 Produced in sealed body resin the first thing you notice upon inspection is its significant weight and quality of craftsmanship. 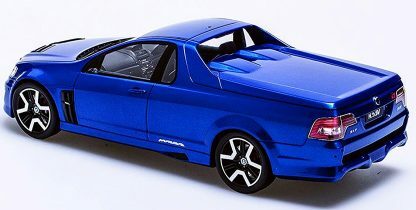 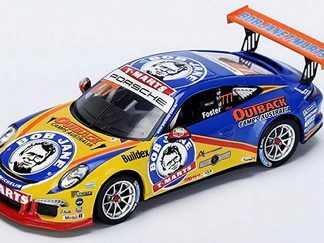 The body lines are beautifully replicated on this model given the way it has been produced with the joins between the panels looking as realistic as possible. 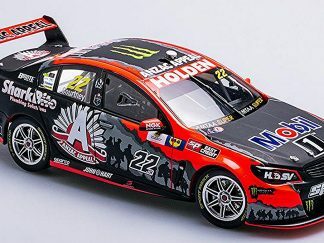 Little features haven’t been overlooked including the impressive badge work, the metal etched grille in the front bumper assembly along with the metal etched side skirt vents, the hood scoops, side vents and the black and chrome wheels are all really nice highlights. 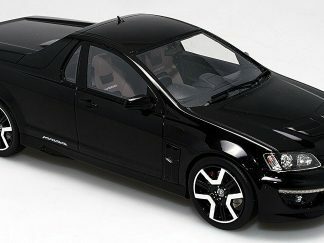 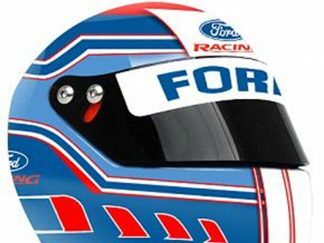 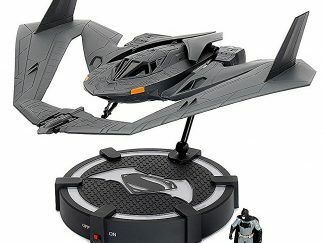 It will be produced in a limited edition number and will come with a numbered Certificate of Authenticity.